Drilline Products also do rentals. We have an extensive and up to date fleet of IDS Detector DUO systems for hire. As we are the exclusive UK & Ireland distributor for IDS we pride ourselves on our product support and customer care, therefore renting from us directly you can be assured of that level of excellent care carried through. The equipment is available for short or long terms hire, don’t worry if you have never used our GPR before as we give full training at your location with the first hire. 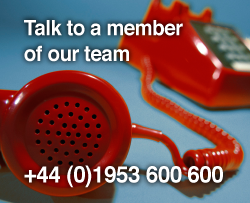 So why not contact us today to discuss your requirements? "As part of Surveys Gwalia's continued growth in underground utility detection, a quality GPR unit was our next step. We approached Drilline and rented their units over a period of several months. Drilline proved to be extremely helpful and accommodating, even personally delivering hire units to site. The hire equipment always operated faultlessly and became an asset which we could rely on. It quickly became apparent we needed to invest in our own unit and Drilline supplied and delivered our unit with their usual professional service. I can thoroughly recommend Drilline and thank Colin, Jill, and Julie for all their help."